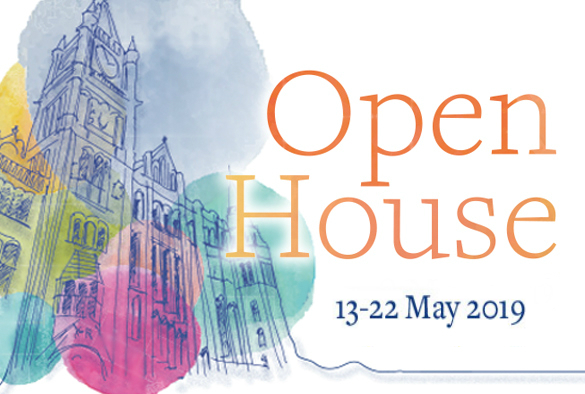 The University’s Open House festival returns next month with ten days of free events showcasing great ideas, knowledge and culture. Join some of the University’s leading researchers and other guest contributors on campus from 13-22 May for a thought-provoking programme of talks, performances and interactive activities on topics spanning from Ancient Egypt to the future of politics. Following on from last year’s sell-out Sweet William performance, renowned Shakespearian actor Michael Pennington returns to Liverpool to read from his latest book, King Lear in Brooklyn and take you on an entertaining journey through the epic tragedy from the perspective of the characters. Should the legal voting age be lowered to 16? Half a century on from when the UK became the first country to lower the voting age to 18 there are calls to lower it again – a move that could have a marked impact on the outcome of future elections. Join politics expert Professor Jon Tonge for a lively discussion that will consider the argument from both sides. It’s been a big year for egyptologist Dr Roland Enmarch, who will reveal why inscriptions left by quarry workers in Ancient Egypt are like a 4,500-year-old form of social media. He’ll also discuss how his surprise unearthing of a well-preserved ancient haulage ramp, which made headlines around the world last year, could help solve the mystery of how the Great Pyramids were built. As part of an exhibition marking the 75th anniversary of the destruction of the ‘Auschwitz Gypsy Camp’, curator and historian Dr Eve Rosenhaft will reflect on the events all over Europe that led to the deaths of hundreds of thousands of Roma and others labelled ‘gypsies’ between 1935 and 1945. Talking about cancer isn’t easy but it’s something that will affect 1 in 2 of us during our lifetime. The good news is that thanks to research cancer survival rates have doubled in the last 40 years. Join our North West Cancer Research Centre team for a behind the scenes visit to one of Liverpool’s cancer research laboratories and enjoy a chat with the scientists over afternoon tea. A specially commissioned art installation exploring the theme of ritual will be unveiled at the Victoria Gallery & Museum as part of the city’s LightNight festivities. Híbridos, the Spirits of Brazil by international artist duo Vincent Moon and Priscilla Telmon conjures up the spiritual and cultural rituals of Brazil through movement, dance and music. For art with a more local flavour, the ceramic art and sound installation Interface Soundscapes will transport you to different locations in Liverpool through listening to characteristic soundscapes of the city. Other highlights include lectures on the reputation of philanthropy and the changing landscape of war memorials in Greater China and a day of family-friendly activities to celebrate the Victoria Gallery & Museum’s major new exhibition Before Egypt.